This specific design offer large soft play structure with various slides, ball shooting arena, tunnels and obstacle course that can be tailored to fit any indoor space of considerable height. This particular design can also be made-to-order with other impressive range of activities or can work to any specific theme. 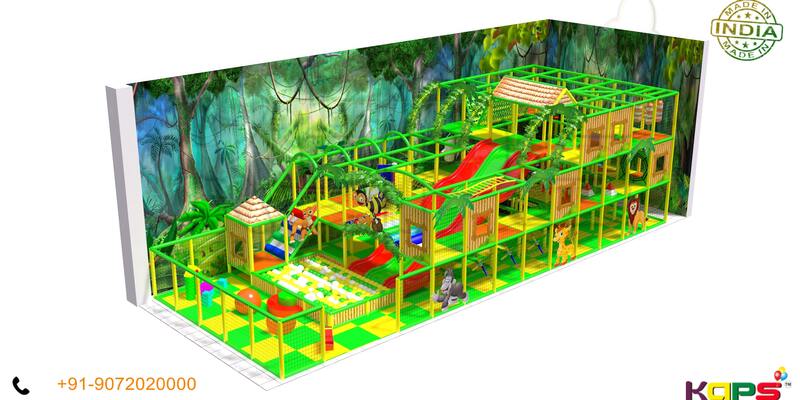 This large soft play structure which requires significant height can include selection of integrated play activities, including trampoline, maze blocks, ball pool, climbers, just to name a few.